Sometimes a box of croutons is just a box of croutons. What does stepping out of the Ivory Tower mean when one is a marketeer in professional services? There are number of recognised strategies for building brand awareness: content marketing, building prestigious partnerships or effective use of case studies & social media to build trust with potential clients. 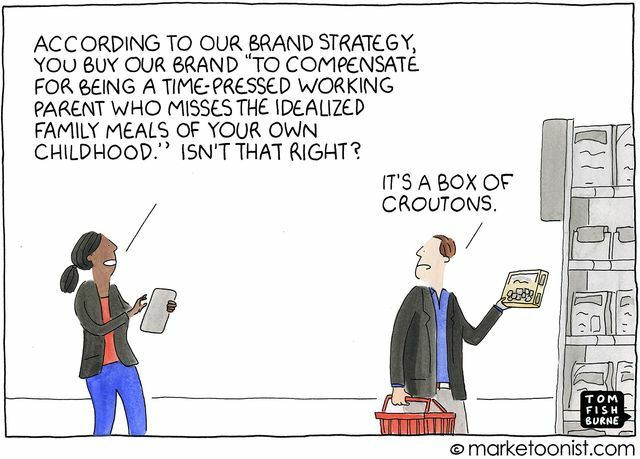 Tom Fishburne as always is on point; clients are people first. What ever strategy we use, authenticity is essential. Unless marketeers in professional services are able to listen to what is important to their clients it is unlikely their brand strategy will achieve the required impact.